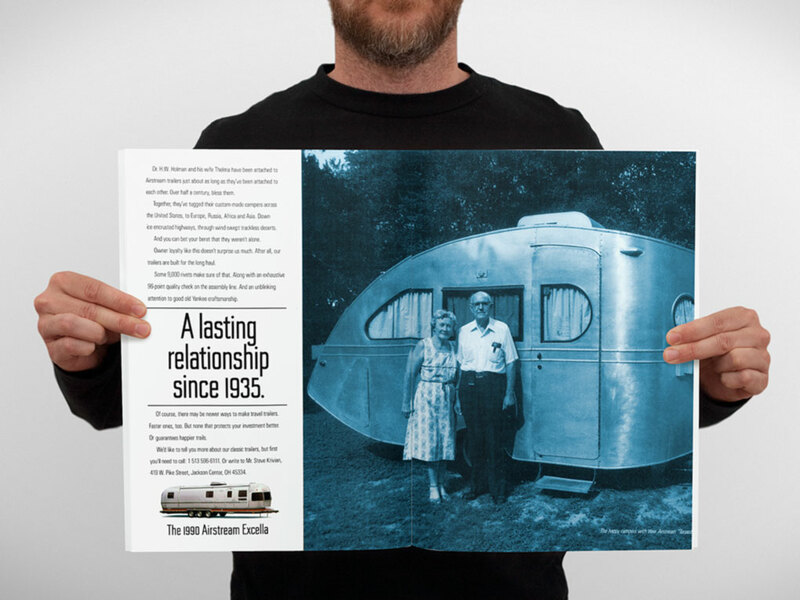 Since 1935, Airstream travel trailers have been considered the crème de la crème of their class—shiny aluminum, deco time capsules riveted together with all the conveniences of a well-appointed condo. Traditionally, owners have been silver-haired retirees. 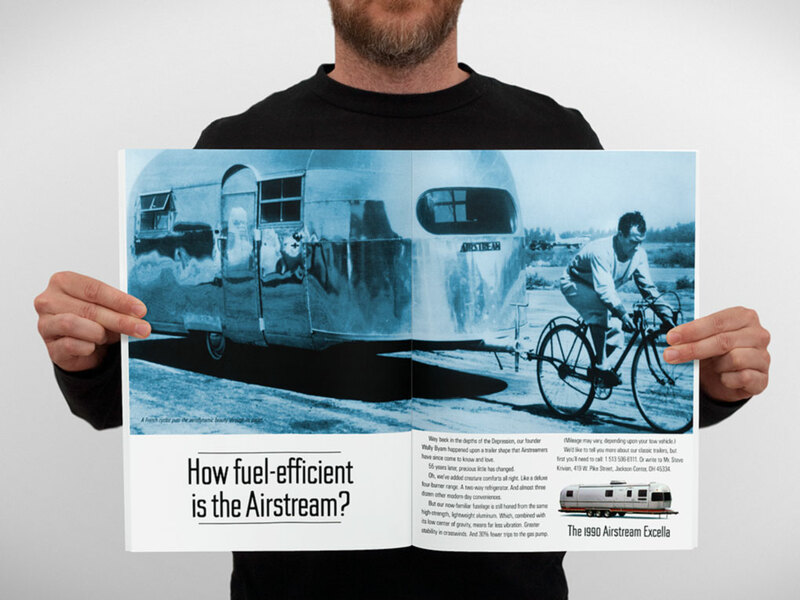 But Airstream was missing a lucrative prospect: aging baby boomers with the financial clout to pony up for high-ticket luxuries. 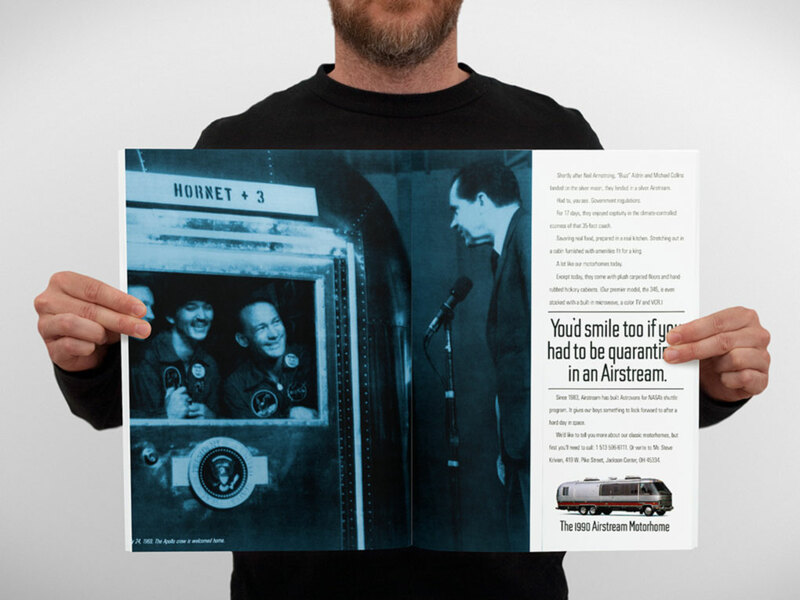 Writer Tom Witt and I forged a retro-chic magazine campaign that made the cornball hip.